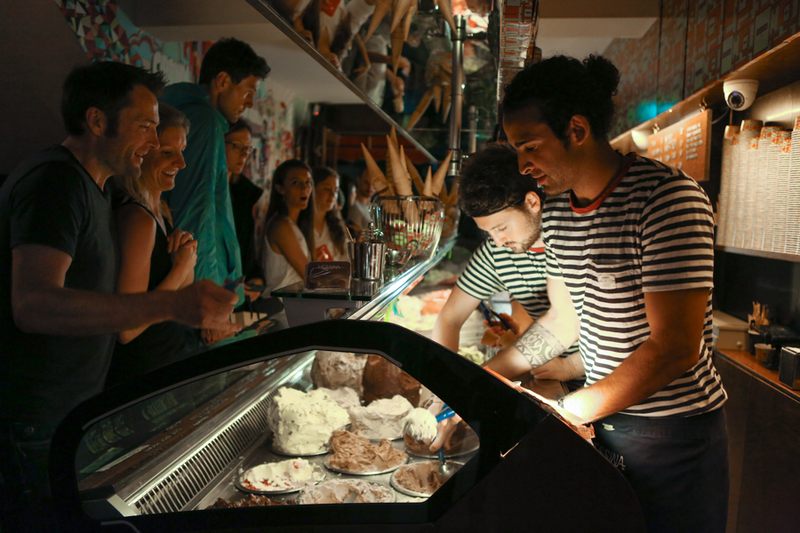 Gelato Messina improves collaboration and productivity with Dropbox Business, helping the rapidly expanding company set a new gelato standard in Australia and other global locales. There’s no question that creativity is paramount at Gelato Messina, where 40 innovative choices include flavours such as “Apple Pie” and “Poached Figs in Marsala” – and special additions such as “Cremino” and “Pretzeled” are added to the gelato cabinets each week. However, keeping employees in the creative loop became a challenge as the company expanded beyond its first shop in Darlinghurst, Australia. “We struggled to collaborate with store managers as we were growing” says Content & Brand Manager, Siân Bishop. “They all needed the same information, but we didn’t have our files in one place. So it was a bit of a logistical nightmare.” Emails ferried information from one place to another, but it didn’t address the company’s need for a central file storage hub, and it created version control issues. Some Gelato Messina managers began using personal Dropbox accounts to share and store files, but that too posed challenges as storage limits were quickly reached.